[UPDATE 3, 28 Nov 7:16pm]: Felix K, the reader who tipped us about the listing apparently has managed to order the game before it was taken down and true enough, it was a pirated game. Read more to see the image of the actual “product” that was sent to Felix. [UPDATE 2, 26 Nov 5:39pm]: Lazada Malaysia has reached out with an official statement regarding this report. Read more to check it out. 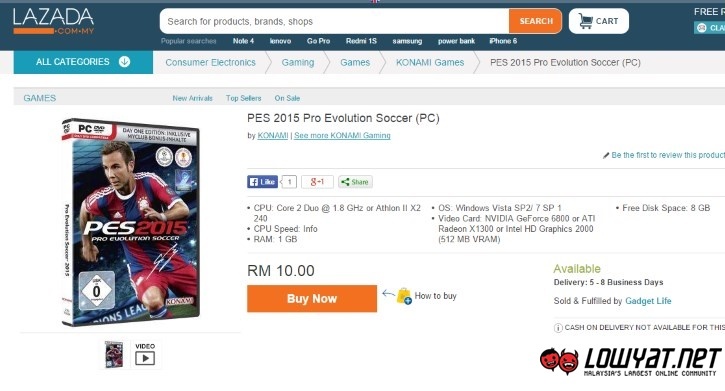 [UPDATE 1, 26 Nov 2:10am]: As pointed by a number of readers, the PES 2015 listing above has disappeared from Lazada Malaysia but several other software as well as the Gadget Store itself still exist. Furthermore, our attempt to contact Lazada Malaysia seemed to be futile. Read more for further info. Due to the nature of e-commerce where physical communication is usually unnecessary, there are plenty of deals out there that are too good to be true. This is most probably one of them. One of our readers, Felix K earlier today pointed out that the PC edition of Pro Evolution Soccer 2015 is currently being offered at only RM10 at Lazada Malaysia. The listing exists, but there seems to be more to the story. We then realised that this particular deal is not being offered by Lazada Malaysia, but instead it is by an external company called Gadget Store. Other product in the company’s listing on Lazada Malaysia reveals other software that are priced ridiculously cheap as well. Triple A titles such as Assassin’s Creed: Unity and Far Cry 4, games which are fairly new to the market, are offered for as low as RM45. Not only that, specialised software that usually cost thousands of Ringgit, including Adobe CS6 and Autodesk AutoCAD, are offered for just RM30! As the pricing of these software are way lower than their actual market prices, we believe that it is either Gadget Store is having a fire sale…or these software are actually illegal software. Any pricing errors are immediately ruled out as all of the software within Gadget Life’s listing are consistently cheap. 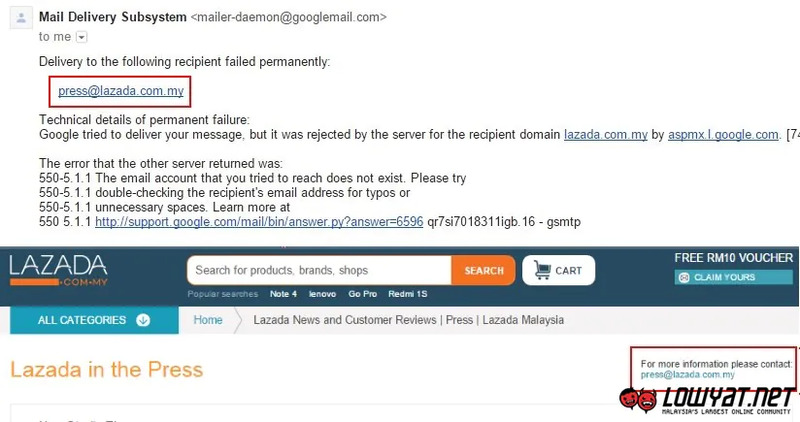 With that, we have reached out to Lazada Malaysia for an official comments on this matter. So, stay tuned. 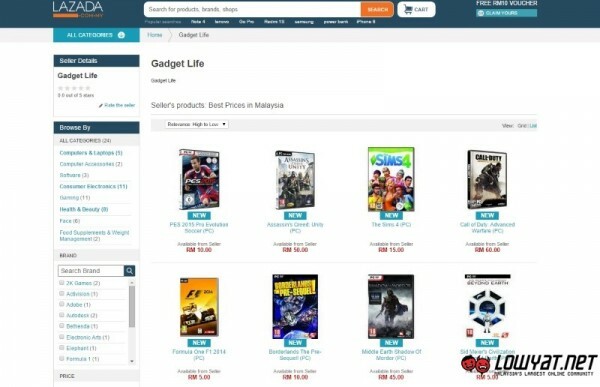 As pointed by a number of readers, the PES 2015 listing above has disappeared from Lazada Malaysia but several other software as well as the Gadget Store itself still exist. We have no idea whether it is removed due to this report or already sold out. Well then, guess we most probably will never know the real story. Anyway, if you have actually placed an order for the game or any other software through this particular retailer at Lazada Malaysia, do let us how it goes. “We pride ourselves in offering our customers quality products and services at the best possible price points. In addition to our constant efforts to ensure that products are genuine, we also depend on feedback from consumers and partners like yourself to help us keep our merchants at the very top of their game. Occasionally, we find ourselves having to recall products offered by vendors and merchants who are affiliated with our Marketplace program. Essentially, our main focus is always on customer satisfaction. 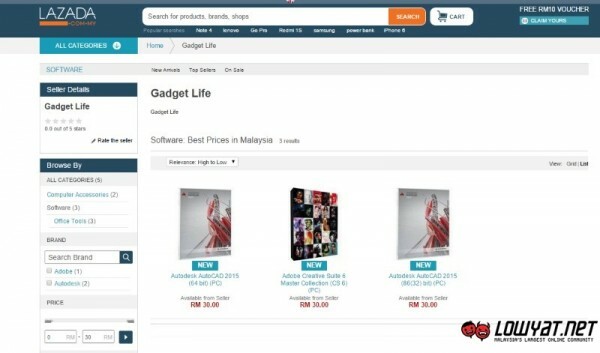 True enough, all the products listed on Gadget Store’s page at Lazada Malaysia are no longer around although the store itself is still accessible. So, remember this whenever you shop online: if a deal seems too good to be true, most probably it is. Not much damage was done since the cost of the game was only RM 10 but nevertheless, we reckoned Lazada Malaysia might want to monitor its Marketplace closely or else the system might be abused by counterfeiters such as this so-called Gadget Life store from Ipoh, Perak.